Lamborghini is trying out a new slogan. "We are not supercars. We are Lamborghini"
That statement, on the cover of the company's new sales brochure, sounds contradictory. If any company is supercars, it would have to be Lamborghini, right? The Italian ultra-luxury automaker pretty much invented the modern supercar, with famous cars like the Lamborghini Miura and Countach in the 1960s and '70s. But now they are Super SUVs, too. 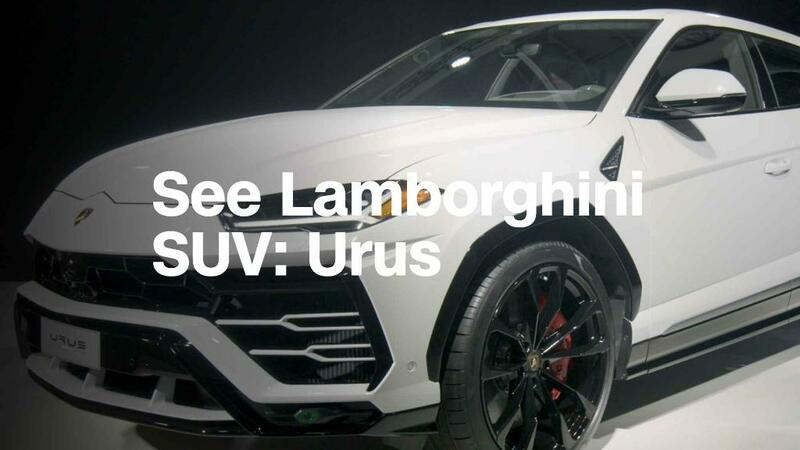 Lamborghini calls the new Urus the first "Super SUV." And the Lamborghini brand may have some more room to grow, said CEO Stefano Domenicali. 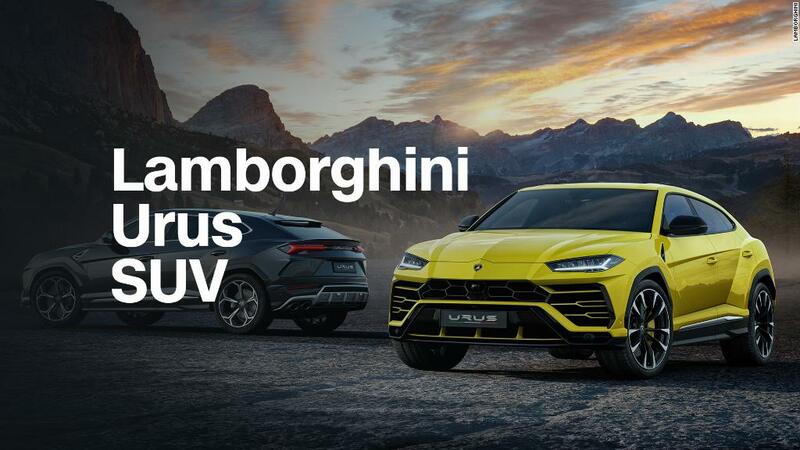 An SUV is a big stretch for a brand with Lamborghini's image, but he said there could be other unexpected products in Lamborghini's future. Asked if Lamborghini is content to stop with just the SUV, Domenicali hinted that there's more to come in years ahead, but wouldn't share any specifics. Lamborghini is following the path pioneered by its sister brand Porsche. (Both are part of Germany's Volkswagen Group (VLKAF).) Porsche successfully introduced an SUV in 2002, something that many purists decried as a sort of sacrilege. In the long run, Porsche's image as a maker of top-flight sports cars suffered no lasting damage, while its balance sheet benefited enormously. Porsche has pointed out that profits from the Cayenne SUV have allowed Porsche to spend more on the development of its sports cars. 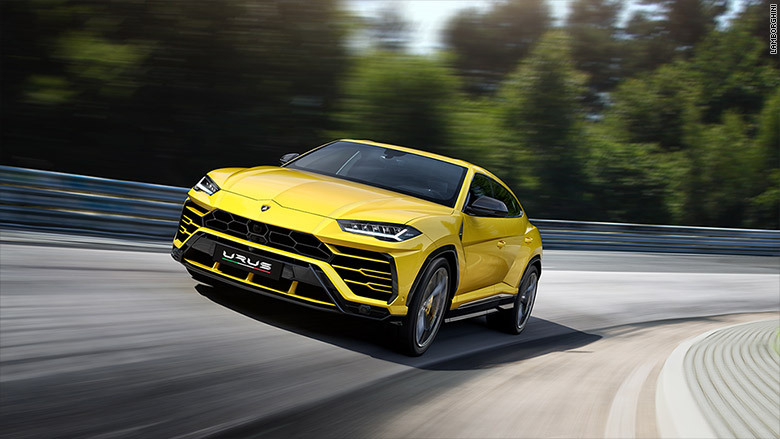 Like the Porsche Cayenne, the Lamborghini Urus, according to early reviews, has the performance capabilities to credibly carry the Lamborghini logo. Lamborghini expects the new model to double the brand's sales. In Lamborghini's case, that means it will sell a total of over 7,000 vehicles a year. It also means bringing in many new customers who would never have considered owning a Lamborghini before. Porsche followed the Cayenne with the Panamera four-door car and, later, the smaller Macan SUV. 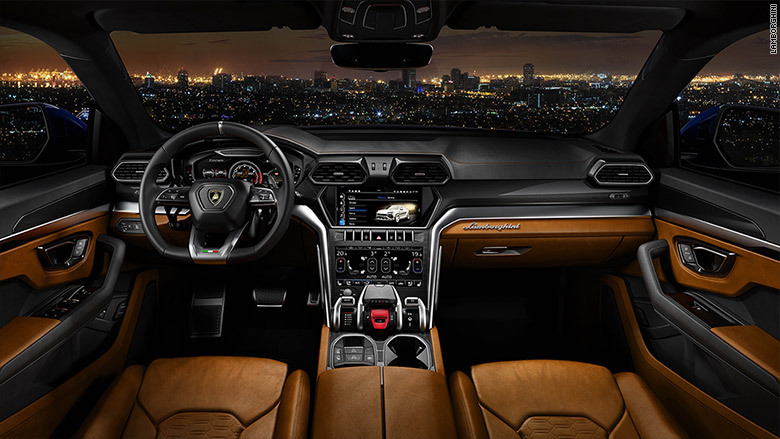 Lamborghini wanted the Urus driving experience to be as similar as possible to driving one of its sports cars. A four-door Lamborghini car has been considered in the past, such when the company unveiled the Estoque in 2008. That idea never went anywhere at the time but, perhaps, it could find its place in the future. New body styles won't be the only change. There will be new power sources to drive the company's famous sports cars. Late last year, Lamborghini showed off an electric sports car concept it created with the help of MIT scientists.